Amazon first released Alexa virtual assistant and smart speaker Echo in late 2014. An in-home virtual assistant is an impressive tool, but creating a seamless user experience with it can be a challenge. So how do companies overcome this challenge? What engagement can you provide with a voice programming interface to fully utilize Alexa and engage customers with your brand? Amazon has a wide variety of Alexa products, but the Echo Dot keeps the price of admission as low as $49.99. The Echo Dot also frequently goes on sale, lowering the bar to $39.99 or even $29.99. At such a low price point, it’s no wonder NPR and Edison Research have found that 39 million adults in the US now own a smart speaker. And of those 39 million, 65% would not want to go back to life without it. Alexa skills give you an opportunity to produce a user experience with voice. Users can simply activate skills for use on their smart speaker through the Amazon Alexa app or by simply asking their device to enable a particular skill. Alexa skill development gives you the opportunity to advertise and engage with your customers and provide value through your brand. The development of the skill is relatively simple. As an Alexa developer, I am excited to find that Amazon provides a great guide to get you started. A skill is just a REST endpoint, accessed over HTTPS, combined with a list of user actions and activation phrases. The endpoint can be hosted on any server that supports HTTPS, but an easy way to get started fast is to utilize AWS Lambda. User actions, known as intents, and activation phrases, known as utterances, are then added through the AWS console. When a user talks to your skill, Amazon will attempt to match what was said to an utterance to determine the intent. The intent and phrase are then sent to the REST endpoint; that endpoint then has a chance to do something with the information before sending back a response to be read to the user. Once done with the Alexa skill development portion, the next challenge is creating a good user experience. Why is it important to create a seamless user experience and how much can you expect out of Alexa voice programming? Most users immediately ask skills questions directly, however it is important to note that skills can also be opened without a question. When a skill is opened for the first time, be sure to provide instructions on how to use your skill. Give examples of what kinds of questions can be asked. If the user is returning, let them know about any additions to your skill or ongoing promotions with your brand. Use analytics from your stores to help customers out where possible. Leverage store traffic data so that your customers can ask how busy a store is. Customers may be more interested in shopping when the store is less busy. If the store is busy, consider responding with an estimate of when there will be fewer people in the store. Utilize your inventory database to allow customers to ask if a product is in stock. If there is low stock then engage with your customer by encouraging them to order fast or reserve their selected item. If a product is not in stock, let your customer know when they can expect the product to return or suggest a similar product. The more helpful you are to your users, the more likely they are to use your skill in the future — a guaranteed way of keeping people loyal to your brand. Allow customers to ask about promotions. When customers ask about upcoming events, provide relevant information such as the date, time and location. When a customer asks about sales, be creative with your response. Instead of listing off items, pick a few to highlight based on their previous purchases. Allow customers to ask about sales by department, category, or deal, such as “what product is on sale?”, to get more specific answers on sales. If there is an OAuth login for your services, customers will be able to link their existing accounts using the Alexa Skill. This allows support for features that require authentication. Allow customers to add items to their shopping list or even do online ordering. Leverage information about the logged-in customer when responding to other questions. When a customer asks about discount opportunities, spike their interest by targetting a known previous purchase. You can also allow an authenticated customer to ask questions about their favorite store. If possible, add something extra to make the experience fun. Allow customers to ask for interesting facts about your brand or any questions related to your industry. To make things more engaging, you could even add a weekly trivia question to encourage users to check back in regularly. It’s important not to overdo it. Flash briefings are very short podcasts that Alexa users can subscribe to, they are a great way to communicate with customers who are opted in. A user will subscribe to flash briefings from various skills to build their flash briefing. Then when a user asks, the latest series of flash briefings will be played. These are generally for news, however, they can be used to talk about upcoming promotions or events. Take a minute or two each week to let your most loyal customers know what’s going on with your company. It is evident and backed that people are ready to accept virtual assistants in their homes. Companies taking advantage of this interface will ultimately be the ones that pioneer the next generation of mastering brand engagement and capturing this fast-growing market. I hope you find these 7 tips helpful in building customer loyalty and engagement, leave us a comment to share your thoughts! 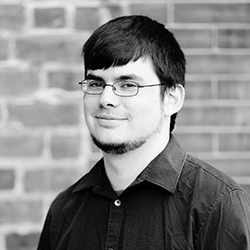 Andrew is a Senior Mobile Developer focused on creating quality user experiences. He is a full stack developer with experience working on every piece of a mobile application from backend APIs to frontend UI. Andrew is passionate about creating high performing native applications. 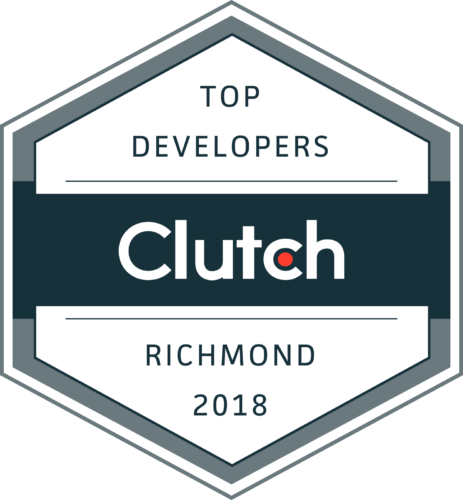 He also has the distinguished mantle of being the longest-tenured developer at Shockoe.